Her candle goes out in the draught and Rodolfo's candle goes out too; the pair stumble in the dark. Rodolfo, eager to spend time with the girl, to whom he is already attracted, finds the key and pockets it, feigning innocence. He takes her cold hand (Che gelida manina – "What a cold little hand") and tells her of his life as a poet, then asks her to tell him more about her life. The girl says her name is Mimì (Sì, mi chiamano Mimì – "Yes, they call me Mimì"), and describes her simple life as an embroiderer. Impatiently, the waiting friends call Rodolfo. He answers and turns to see Mimì bathed in moonlight (duet, Rodolfo and Mimì: O soave fanciulla – "Oh lovely girl"). They realize that they have fallen in love. Rodolfo suggests remaining at home with Mimì, but she decides to accompany him to the Cafe Momus. As they leave, they sing of their newfound love. A great crowd, including children, has gathered with street sellers announcing their wares (chorus: Aranci, datteri! Caldi i marroni! – "Oranges, dates! Hot chestnuts!"). The friends arrive; Rodolfo buys Mimì a bonnet from a vendor, while Colline buys a coat and Schaunard a horn. Parisians gossip with friends and bargain with the vendors; the children of the streets clamor to see the wares of Parpignol, the toy seller. The friends enter the Cafe Momus. As the men and Mimì dine at the cafe, Musetta, formerly Marcello's sweetheart, arrives with her rich (and elderly) government minister admirer, Alcindoro, whom she is tormenting. It is clear she has tired of him. To the delight of the Parisians and the embarrassment of her patron, she sings a risqué song (Musetta's waltz: Quando me'n vo' – "When I go along"), hoping to reclaim Marcello's attention. The ploy works; at the same time, Mimì recognizes that Musetta truly loves Marcello. To be rid of Alcindoro for a bit, Musetta pretends to be suffering from a tight shoe and sends him to the shoemaker to get her shoe mended. Alcindoro leaves, and Musetta and Marcello fall rapturously into each other's arms. The friends are presented with their bill. Schaunard's purse has gone missing and no one else has enough money to pay. The sly Musetta has the entire bill charged to Alcindoro. The sound of a military band is heard, and the friends leave. Alcindoro returns with the repaired shoe seeking Musetta. The waiter hands him the bill and, dumbfounded, Alcindoro sinks into a chair. Peddlers pass through the barriers and enter the city. Mimì appears, coughing violently. She tries to find Marcello, who is currently living in a little tavern where he paints signs for the innkeeper. She tells him of her hard life with Rodolfo, who abandoned her the night before, and of Rodolfo's terrible jealousy (O buon Marcello, aiuto! – "Oh, good Marcello, help me!"). Marcello tells her that Rodolfo is asleep inside, and expresses concern about Mimì's cough. Rodolfo wakes up and comes out looking for Marcello. Mimì hides and overhears Rodolfo first telling Marcello that he left Mimì because of her coquettishness, but finally confessing that his jealousy is a sham: he fears she is slowly being consumed by a deadly illness (most likely tuberculosis, known by the catchall name "consumption" in the nineteenth century). Rodolfo, in his poverty, can do little to help Mimì and hopes that his pretended unkindness will inspire her to seek another, wealthier suitor (Marcello, finalmente – "Marcello, finally"). Out of kindness towards Mimì, Marcello tries to silence him, but she has already heard all. Her weeping and coughing reveal her presence, and Rodolfo hurries to her. Musetta's laughter is heard and Marcello goes to find out what has happened. Mimì tells Rodolfo that she is leaving him, and asks that they separate amicably (Mimì: Donde lieta uscì – "From here she happily left"); but their love for one another is too strong for the pair to part. As a compromise, they agree to remain together until the spring, when the world is coming to life again and no one feels truly alone. Meanwhile, Marcello has found Musetta, and the couple quarrel fiercely about Musetta's flirtatiousness: an antithetical counterpoint to the other pair's reconciliation (quartet: Mimì, Rodolfo, Musetta, Marcello: Addio dolce svegliare alla mattina! – "Goodbye, sweet awakening in the morning!"). Marcello and Rodolfo are trying to work, though they are primarily talking about their girlfriends, who have left them and found wealthy lovers. Rodolfo has seen Musetta in a fine carriage and Marcello has seen Mimì dressed like a queen. The men both express their nostalgia (duet: O Mimì, tu più non torni – "O Mimì, will you not return?"). Schaunard and Colline arrive with a very frugal dinner and all parody eating a plentiful banquet, dance together and sing, before Schaunard and Colline engage in a mock duel. Musetta suddenly appears; Mimì, who took up with a wealthy viscount after leaving Rodolfo in the spring, has left her patron. Musetta found her that day in the street, severely weakened by her illness, and Mimì begged Musetta to bring her to Rodolfo. Mimì, haggard and pale, is assisted onto a bed. Briefly, she feels as though she is recovering. 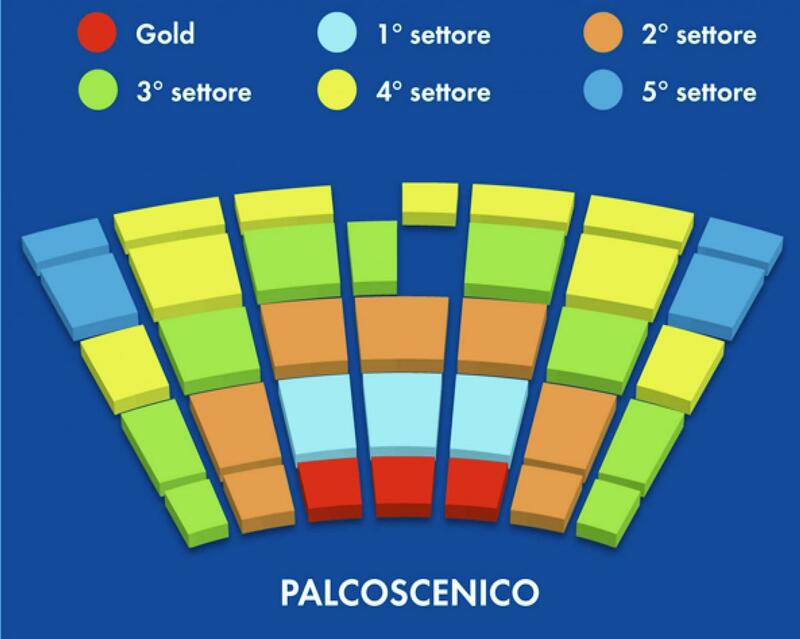 Musetta and Marcello leave to sell Musetta's earrings in order to buy medicine, and Colline leaves to pawn his overcoat (Vecchia zimarra – "Old coat"). Schaunard leaves with Colline to give Mimì and Rodolfo some time together. Mimì tells Rodolfo that her love for him is her whole life (aria/duet, Mimì and Rodolfo: Sono andati? – "Have they gone?"). To Mimì's delight, Rodolfo presents her with the pink bonnet he bought her, which he has kept as a souvenir of their love. They remember past happiness and their first meeting—the candles, the lost key. Suddenly, Mimì is overwhelmed by a coughing fit. The others return, with a gift of a muff to warm Mimì's hands and some medicine. Mimì gently thanks Rodolfo for the muff, which she believes is a present from him, reassures him that she is better and falls asleep. As Musetta prays, Mimì dies. Schaunard realizes that Mimì has died. Rodolfo becomes aware that something is wrong. He rushes to the bed, calling Mimì's name in anguish, and weeps helplessly. Torre del Lago is a town of almost 11,000 inhabitants, a frazione of the comune of Viareggio, in the province of Lucca, Tuscany,Italy, between the Lake of Massaciuccoli and the Tyrrhenian Sea. 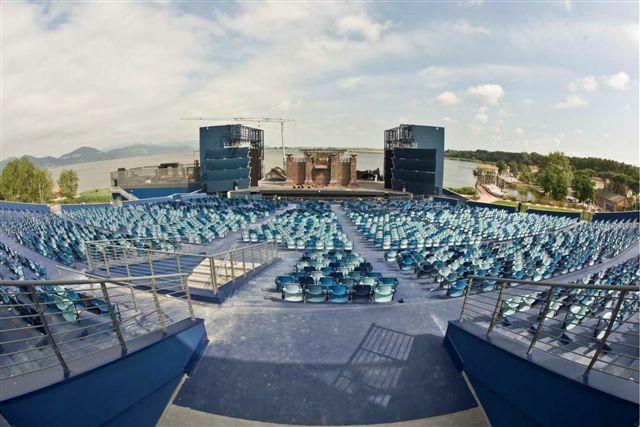 The Festival Puccini, an annual opera festival which attracts around 40,000 attendees, is held in its open-air theatre, a short distance from the Villa where opera composer Giacomo Puccini lived and worked. He is buried in a small chapel inside the Villa. The area of the village on the sea (Marina di Torre del Lago) is well known for being an important gay and gay-friendly summer resort of national and international appeal.